A lawmaker in Maine is using her position of power to attack students’ intellectual freedom and restrict the books available to her son and his peers in public schools in the state. Amy Arata, elected in 2018 as a state representative for House District 65, introduced a bill that would remove an exemption for public schools in a law governing the distribution of obscene materials, in hopes of restricting their reading material to only things the lawmaker feels are age-appropriate. Arata also used her position on the School Administrative District 15 board of directors to have the book withdrawn from use at the school, even though according to The Sun Journal, Arata claims “it’s not about banning books,” she said about her proposed legislation, it’s about guaranteeing that students are using age-appropriate materials that are educational. Still, others would say Arata is cherry-picking graphic scenes out of context, without looking at the work on a whole. The Sun Journal article found a column from 2017 in The Clarion, a Portland, Oregon high school paper that discussed reading Kafka on the Shore in class. The two students who wrote the column were able to note, that even though there are graphic scenes, in reading the book as a whole, it is apparent that it is much more than those isolated parts. There are some students–specifically, students in the class–who heard about the contents of the novel from their friends and got all flustered without reading it themselves. 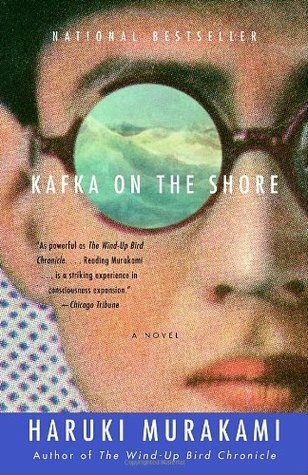 When you read “Kafka on the Shore,” it will become clear that this novel is more than its few graphic scenes. This is a book that is difficult to grasp the overarching meaning of by surfing Sparknotes. Without actually reading it, students will never understand the full context of such an intricate text with simple chapter summaries that only skim the surface. The two juniors who wrote the column, Ariel Harmon and Brooklyn Pierce, were more in tune with the intricacies of the novel, then the Republican lawmaker in Maine, who after finishing Murakami’s work only felt inspired to make sure no one else was allowed to read it in public high schools. Harmon and Pierce also noted that none of the graphic bits of the novel were out of line with other current TV shows and movies to which high school students gravitate. To stay up to date with crucial news stories about legislation intent on eroding the First Amendment, join CBLDF’s weekly newsletter. Or consider becoming a CBLDF member in 2019, to help fight alongside us, on the front lines for free expression!